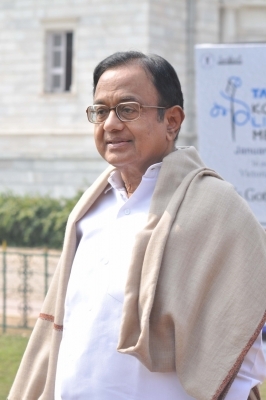 New Delhi Sep 16 (IANS) Senior Congress leader P. Chidambaram on Sunday took a dig at the BJPs claim that fuel prices will be brought down soon saying the saffron party must have found a source of free crude oil. "Government says will not cut fuel prices. Bharatiya Janata Party (BJP) President (Amit Shah) says Centre will soon arrest fuel prices . BJP must have found a crude oil source that will supply crude oil free!" Chidambaram tweeted. Separately in a newspaper column the former Finance Minister observed that the government revenue had become oil-dependent and it was loathing to give up on easy revenues. "There is mounting anger among the people as prices of petrol diesel and LPG soar every day " he added. "Government claims that demonetisation and GST have wiped out black money. CEC (Chief Election Commissioner) says democracy under threat from black money. Where is the black money coming from? Crisp new Rs 2 000 notes?" he said in another tweet.